Have you lost the keys to your vehicle? Getting a replacement for the keys you lost can get very pricey, especially if there is a key-less entry or other digital equipment on the key ring. If you find yourself in a situation where you have lost your keys and don’t know what to do with your car, consider donating it to Goodwill of Greater Washington! Standard Key: Since standard keys are simple, it will not cost much to make a replacement key. 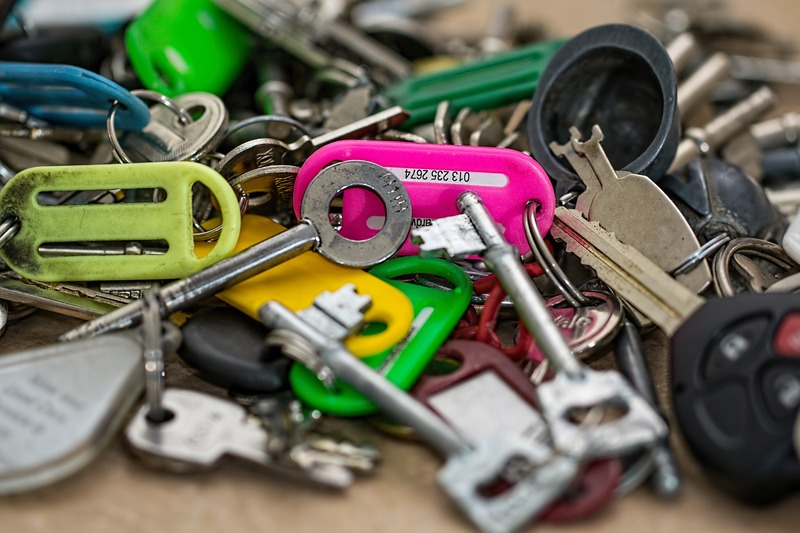 Locksmiths will usually charge somewhere between $3 and $12 to replace standard keys. FOB: The FOB, also known as key-less entry, is more expensive to replace than standard keys. The plastic part itself usually costs up to $90 and some dealerships will also charge for labor to program the device. However, you can usually find programming instructions in the vehicle’s manual should you wish to save money and do it yourself. Transponder Keys: These are the keys that have a chip inside the actual key that is unique to your vehicle. When a transponder is lost, you will be looking at a cost of up to $160 for the key and $75 for the FOB – if the key and FOB are all one unit. Laser Cut Keys: These keys require special equipment to produce and usually have a transponder chip that will need to be programmed. The cost to replace these types of keys can be as high as $250. Switchblade Keys: Since the switchblade keys are usually folded into the FOB, the cost to replace them can get quite high. The total price, with replacement parts and programming, can cost between $200-$300. Smart Keys: These are the most expensive keys to replace because the technology is new and locksmiths are unable to copy them. Smart keys generate random codes that the vehicle recognizes before the engine starts. The cost to replace these keys at the dealership can be between $220 and $400. Have you lost the keys to your vehicle? Consider donating your vehicle to Goodwill. The vehicle donation process is simple and easy. Call 866-233-8586 or click the button below to donate today!